One of the joys of having elderly relatives (with no internet access) living in a borough that insists on booking their services “on-line only” is that I get to have an account with them and receive their electronic propaganda newsletter. 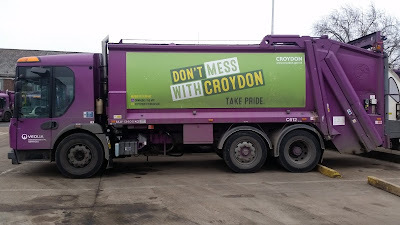 Croydon now have a new long term waste contract with Veolia. Here in Redbridge our contract with Shanks is up for renewal in, we believe, two years time. So I thought you might like to see what service Croydon residents are getting and compare that to what we get now and are likely to get mid-way through the next council term. 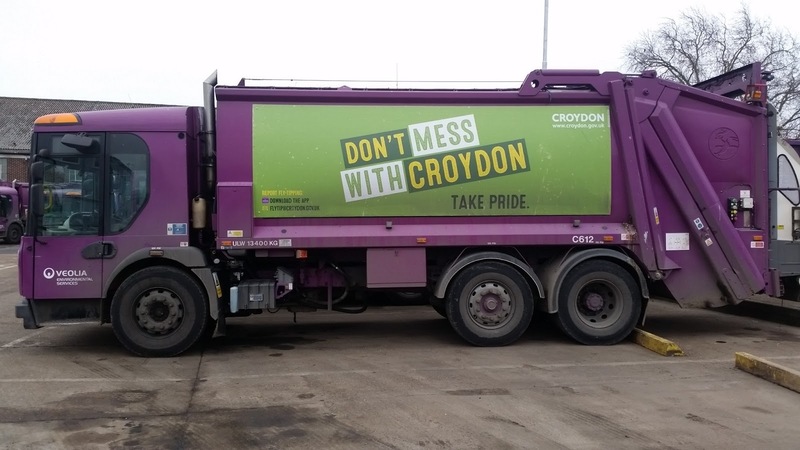 Croydon’s new deal saves around £5million per year and the street cleaning part starts next March and new waste collections from next October. There is no change to the waste collection frequency. Down there household waste (black bags) and kerbside recycling is alternate weekly, whereas ours is weekly. However they do have weekly food recycling which we don’t. As part of the new contract the blue recycling bins are to be replaced with a larger wheelie bin for recycling paper and card. Obviously the people of Croydon read more newspapers and buy stuff with excess packaging. The green box (here in Redbridge green or black) stays but they accept a whole range of mixed recycling that we don’t so how one box will continue to cater for all that is anybody's guess. They also have kerbside textile collections which we don't. On to our own controversial green garden waste collection. Down there the service is to be extended to all-year round (was April to November) and costs £61.50 (up from £60) for a 240 litre waste bin. And like us they will have a free Christmas tree recycling service running for two weeks every year from 2018. Residents can leave their real Christmas trees outside their property for removal. Now to the big difference. In Redbridge street cleaning and fly-tip removal is in-house. In Croydon’s new contract there are tougher performance targets for Veolia, including clearing 100% of fly-tips within 24 hours of being reported. The current rate is 87% within 48 hours. And there is a requirement to sweep up all autumn leaf fall from Croydon streets. Early in the new contract Veolia will also audit properties with access issues (such as flats above shops) to make sure they have the right number and size of bins and recycling containers. Veolia will also liaise more closely with private landlords to challenge them to take action on waste issues. Of course this is just the headlines, we don’t know the detail of the contract and that is usually where the devil lies. However, we are sure that our current council leader and the rubbish cabinet member will be looking at this with great interest. Meanwhile the Local Government Association warn that already stretched councils in England will see the core central government funding they use to pay for vital services like collecting bins, filling potholes, protecting children and caring for elderly and disabled people, cut in half over the next two years. It is difficult to evaluate as it is not like for like but personally we would not want a large wheelie bin in the front garden . the Small boxes suit us.